Buns & Brews offers some of the tastiest dishes in Columbus. 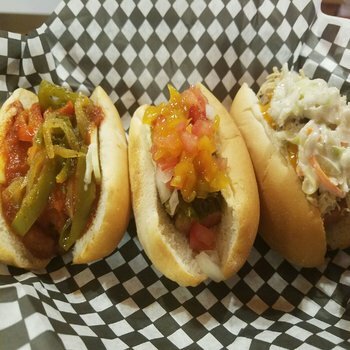 Some of our popular dogs include The Southern Comfort, Jamaican Me Crazy, and our famous Philly! 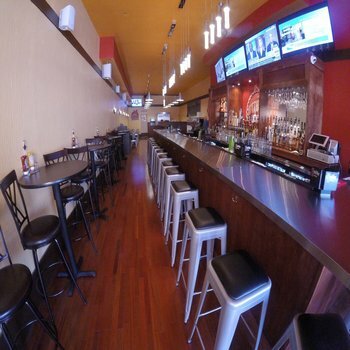 Classic, wood-lined spot for reimagined hot dogs & sausages with myriad toppings plus craft brews. The heart of the new restaurant relies on two key ingredients: gourmet hot dogs and local craft beer. This rare yet seemingly simple foundation — along with a dose of creativity — has brought to life a whole new level of American cuisine for the Columbus market to savor. Each dish features a hot dog garnished with geographically themed toppings, and a newly remodeled bar offers around 30 beers, with a focus on local IPAs. All orders come with a choice of an Angus beef, turkey or vegan hot dog, 19 different toppings, six types of buns and nine sides.